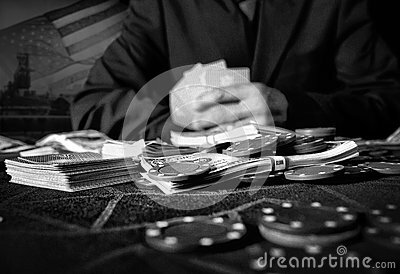 A poker table of money, cards and poker chips. With US flag and factory in background. Life's a gamble and is getting more difficult.